Which do you prefer, mares or geldings? Much like going to the polls, there is no universally right or wrong answer, and instead every rider is left to choose for themselves. A 2015 survey by The Horse magazine revealed 41 percent of readers would rather buy a gelding, while just 23 percent preferred mares. Quite honestly, I’m surprised mares got that much of the vote. 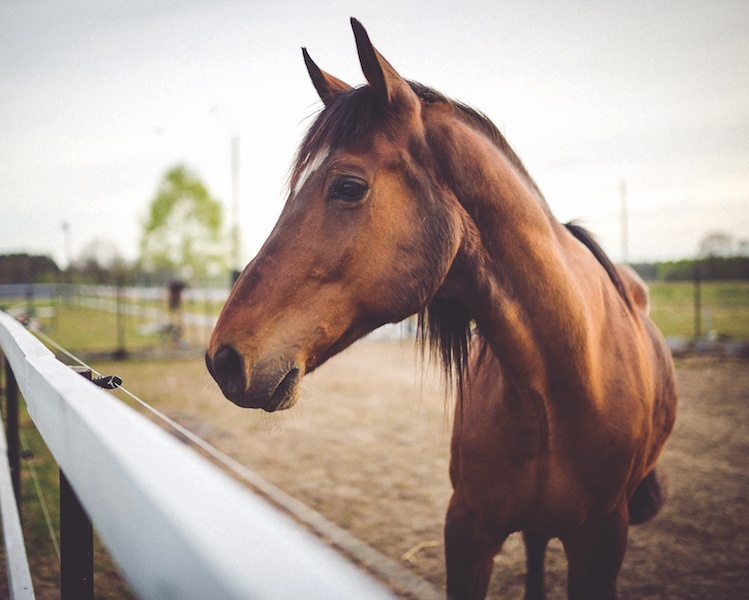 As is true for horse breeds, many people have impressions of both mares and geldings, based on a mix of generalizations and personal experience. Most people point out that mares are subject to more hormone fluctuation than geldings are. Mares are seasonally polyestrous, which means they actively cycle for just part of the year, during the warmer months when they would be preparing to carry a foal in the wild. The mare’s cycle is three weeks long, with five to six days spent in estrous, when she is considered “in heat” or receptive to a stallion. During this time, mares may be focused on attracting a stallion (excessively urinating or “winking” their external reproductive organs) or they may seem grouchy and overly reactive. Some mares have also been observed to be more herd-bound during this time, which creates distraction during rides or barn work. Of course, there are ways of dealing with the hormone issue. Some people give artificial hormones to keep the mare from going into heat, while others rely on supplements (Mare Magic, which is dried raspberry leaves, works to “even out” many horses). Fans of geldings point out they don’t have to deal with the unpredictability, and geldings seem to have a reputation for having their good points and bad points, but at least remaining the same from day to day. They’re often characterized as forgiving of beginners’ mistakes, and very honest: If something worries them, they tell you straight off. Mares are also said to have a little more ego than most geldings. 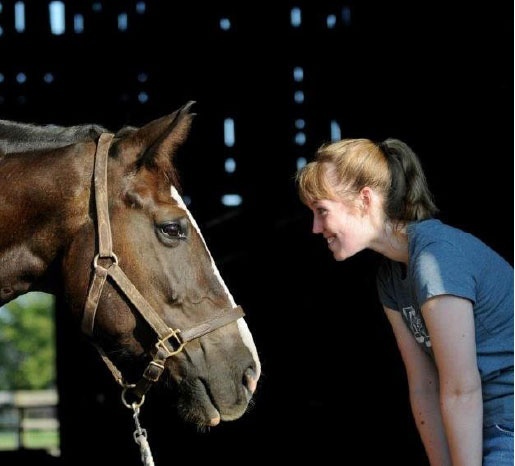 I tend to equate mares with cats and geldings with dogs; many riders would prefer the faithful, people-pleasing of those two personalities, but fans of mares say they make them better riders. “Never argue with a mare” or “Request, don’t demand” are truisms known well by friends of mares. While it’s certainly more complicated to edit and reconstruct an exercise to accommodate a mare, the practice will also make you better at reading her body language and more precise in the way you communicate with horses. Over the years I have fallen in love with both geldings and mares, but the most recent two horses I have logged the most hours on have been feisty draft cross mares. Who doesn’t have bad days? I agree with the assertion that hormones can play a role in life with mares, though you can find plenty who aren’t generally moody. Jitterbug has about four bad days every summer, which isn’t a bad percentage, and I almost always see them coming. There is something to be said for what mares teach you on those days, too. It’s good for riders to think about an outing from the horse’s perspective. Hormones are one explanation for a mare’s finicky behavior, but she may be reacting to changes in her own health or surroundings. She also might have just gotten up on the wrong side of the stall. I often wonder, if Jitterbug seems more sensitive on a given day, whether she missed a nap or has a headache (horses must get headaches too, right?). I still ask for her to behave safely and respectfully, but I feel it’s important for me to realize a crucial idea: I am not the only component of her day. I’ve also heard many people extol the loyalty of a mare. Though she may be hard to win over, people tell me a good mare will work for you all day long. Jitterbug isn’t really a “work all day” sort of gal, but I have noticed that as we’ve bonded through the years, she has become protective of me. If I take a jump awkwardly, she will shift to help me find my balance. On the many, many occasions I’ve wiped out on muddy or icy surfaces during turnout, she not only freezes, but allows me to use her shoulder for balance getting up again. No matter which equine gender you prefer, I’ve always found it’s best to base your choice of mount on the individual and not the stereotypes: a good horse has a lot to give, no matter what they are.